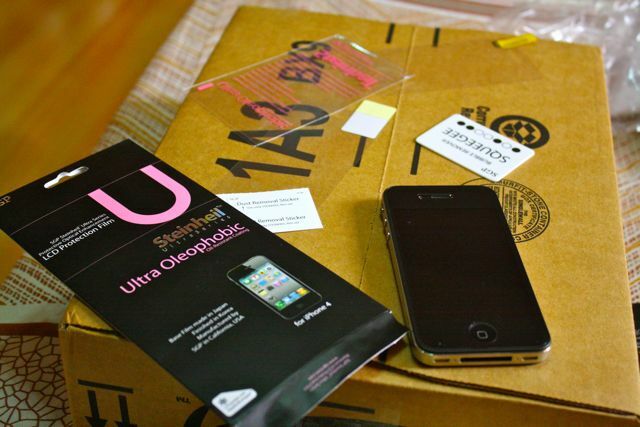 I've been searching for the perfect screen protector for my iPhone 4 and the SGP Steinheil Ultra Oleophobic Screen Protector has been one of the highly recommended screen protectors in the forums I've visited. So let's see how this screen protector fares. Installing the SGP Steinheil Ultra Oleophobic Screen Protector was pretty easy. The package comes with two screen protectors, a microfiber cloth, and a squeegee. If you're worried about lints getting under the protector, try installing it in the shower with the hot water running. Anyways, all the cuts line up pretty good and installation takes around 3-5 minutes. You can use the squeegee to iron out any bubbles. Usually the screen protectors that I install leaves some bits of bubbles but on this one, I got none which is really great, maybe it's the protector or maybe luck, who knows. Oleophobic means the protector is oil resistant so it wouldn't leave much smudges on the protector. So is this smudge resistant? Well yes, but of course you'll still leave some prints but it's not as much of a problem like with my previous screen protector where smudges affect visibility. 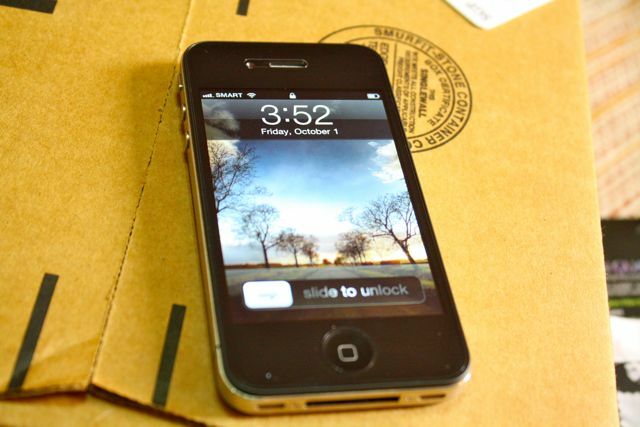 In fact, one good wipe down removes any oils on the screen and it's like new again. One of the things most iPhone 4 users hate about screen protectors is that some of them affect the retina display. I can say that the SGP Steinheil Ultra Oleophobic screen protector doesn't affect the clarity of the screen. 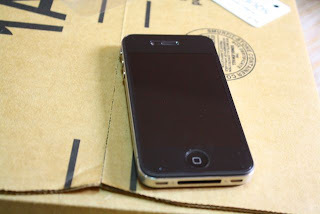 If you're using an iPhone bumper and you're worried that it would it would create bubbles, don't. I had the Scosche BandEDGE G4 on and it doesn't create any bubbles of any kind. As for scratches, in the two months that I've had it, I can see some hairline scratches but that's okay. I mean, better the screen protector than the Iphone 4's screen, right? I have to say, so far, I'm liking the SGP Steinheil Ultra Oleophobic protector. For around 13GBP plus shipping, you get two screen protectors which is great value for money. This screen protector is okay at first but after a while, it loses its oleophobic properties. Good for 2 months though.